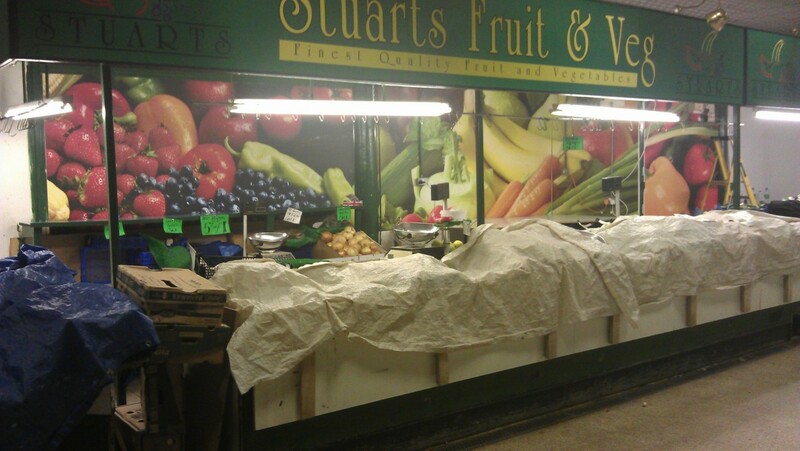 Stuart wanted to change his indoor market stall from a plain standard stall to something more courful and vibrant. After sourcing and aggreeing on the images to be used we printed the images direct to a 5mm thick foam board this had a sleek, smooth but durable finish. The panels were installed out of hours late on a Saturday night, starting at 7.00 pm we finished the install in time for breakfast on Sunday morning, this gave Stuart enough time to get his stall ready for the paying public on Monday.